On street parking available in surrounding area. Warwick Avenue is the closest underground station and Royal Oak is a 10 minute walk away. Buss routes 6, 414, 187, 36 and 18 are all close by. 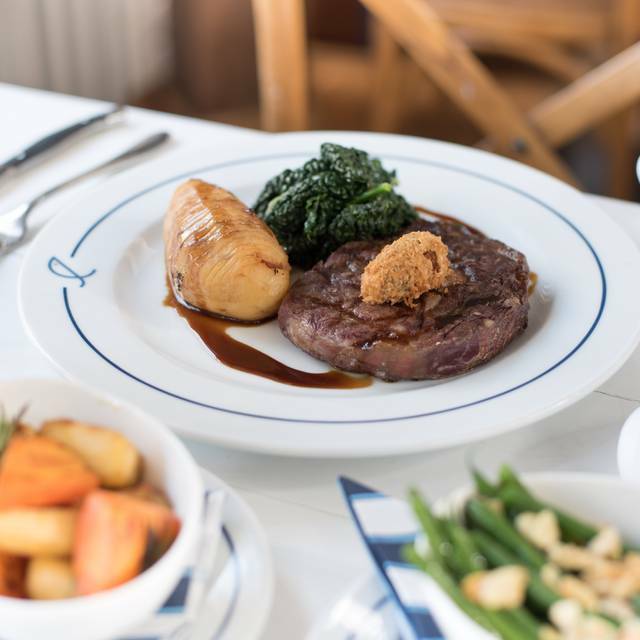 The Summerhouse is situated on the Grand Union Canal only a stone's throw away from our famous Waterway restaurant in Little Venice. 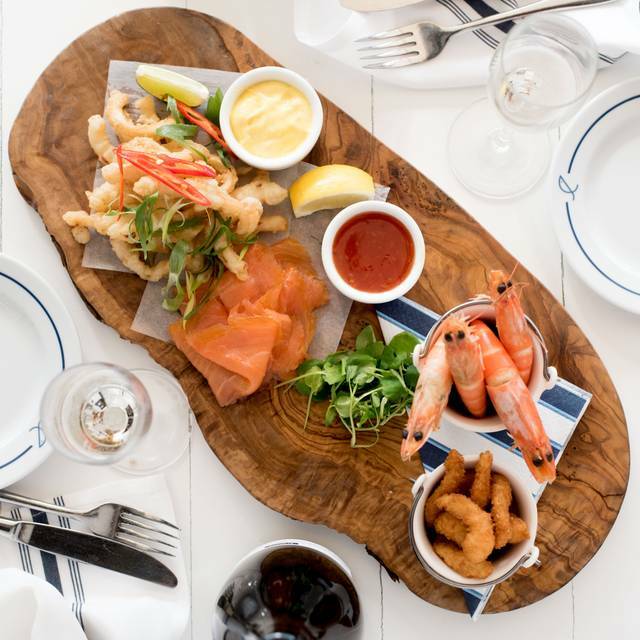 We can't control the weather but we can offer you that holiday feeling whilst dining, overlooking the water and enjoying our crisp Rosé wines, Summer salads and the best fish and chips in town. Fairly nice atmosphere. Food was decent - the scallops starter presentation could've been a bit better, and the black pudding was a bit hard (over cooked slightly). But the main of sea bass was delicious. My only issue was the table location - all the tables for two are located in the main passageway so there were always people walking too and fro so it didnt feel relaxed. Tables for 4 are all by the window/canal so suffer less from traffic. There was also a hot air conditioning right above our table which meant is was pretty hot at our table but they turned it down when requested. A lovely secluded spot with a beautiful view of the canal. Great atmosphere right on the canal, fantastic cocktails, food and wine. And the toffee pudding and sundae made for a great dessert! Lovely venue and the food was delicious! Lovely atmosphere. Amazing salmon and amazing eggs. Oysters were beautifully fresh and the food selection was excellent. A most delicious meal. I would definitely go back. Wonderful restaurant. Food was delicious. Staff were lovely and helpful. Great wine choices and perfect ambience for any occasion. Have been to Summerhouse a few times, but not recently, for Sunday lunch. Usually enjoyed it very much, however on this visit thought the lunch menu was expensive, so instead had brunch. It was ok, but not as good as many cafes at which I regularly brunch & quite a bit more expensive. Added to which, some items had run out, e.g halloumi, an ingredient of the vegetarian breakfast. Ambience, as ever, good & the service was fine. Previously would have recommended, now not sure. Excellent interlude on the canal, perfectly prepared ‘catch of the day’ accompanied by a delightful glass or two of Malbec ..
Only thing which was shame was that the waiters did not have knowledge of the fish in the menu, as well as alcohol. 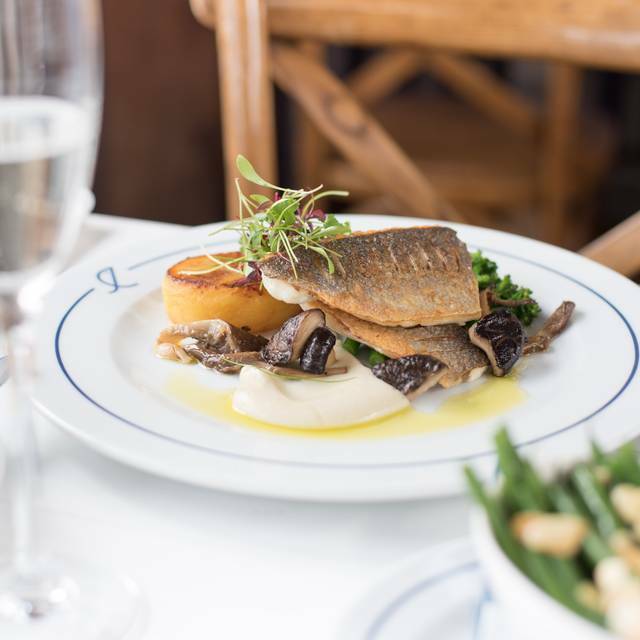 The Summerhouse is a perfect treat serving up delicious fish dishes. Amazing food and the staff are so friendly and welcoming. Had a great time!!! It was my mother in laws 60th and they made her feel really special. An amazing local place, particularly on a sunny day. Great food, nice surroundings, fair prices. Delicious food, very sweet staff, and a lovely atmosphere right by the canal. Another regular of ours and always enjoy being there. 1st time the 2 of us that had half lobsters didn't think they were very good and I think the price had gone up. Went for a family dinner during the week. Beautiful place (probably better view during the day), lovely ambience and delicious food! Will definitely come back. It has a nice cozy vibe to it. It was a nice atmosphere, food was ok starter and dessert fantastic, main course was cold/warm. Can imagine thus place being quite popular in the summer. Thank you to George and the team. Honest opinion. I chose the Summerhouse to celebrate an anniversary with my boyfriend and we both had a fantastic time! Thank you for the great experience! The seafood was very good and fresh, the service was excellent, our waitress was really lovely, so friendly and funny too ! I was very impressed with the sticky dates pudding, yummm ! We really loved the restaurant so we will be back for sure ! Delicious food with excellent friendly and punctual service. It was our friend's birthday and they put a big sparkler in his dessert as a surprise which was fantastic! We sat on the corner table, canal side, but they provided blankets and heaters if we got cold meaning we could sit out for hours enjoying our meal. 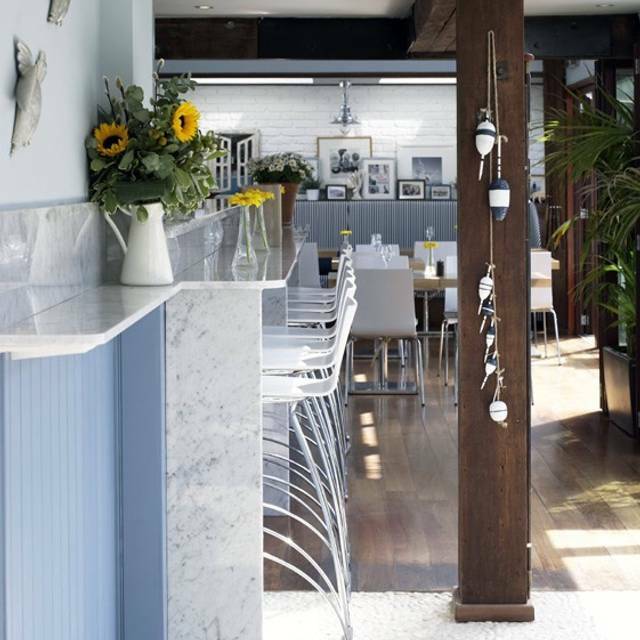 We loved, loved, loved our visit to Summerhouse- fabulous seafood on the canal, what's not to love! The welcoming was very good. Quick service, good food. As the restaurant started to get busier the good ambience starts to fade away as the tables are so close to each other we can actually hear the all conversation of our 'neighbours' even not wanting to. Best customer service, ambience & dining. Always lovely. Only had the sharing starter, the smoked salmon was very good as was the breaded shrimp. Calamari wasn't really fried as much as it could have, prawns hadn't been cleaned. Mains were much better, the cod was excellent with the butter beans, muscles and chorizo. Sea bass was also very good, with salsify, truffle dauphinois and mushrooms. Lovely restaurant, cozy and warm in the winter and open and airy in the summer, would 100% recommend! Apart from screaming kids on a Sunday afternoon, it was a great meal. 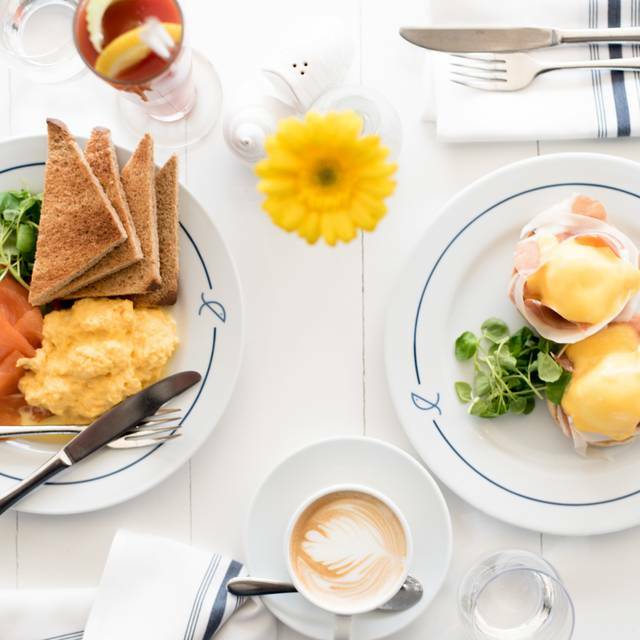 My fiancé and I went to the Summerhouse for brunch. The food and the service were of very high quality but a bit overpriced compared to other restaurants around the area. First time we’d been in the winter. Loved it through the summer of 2018 and love it even more in the start of 2019. Such a lovely restaurant in a beautiful setting on the canal. I didn’t pay so can’t rrally comment on whether it’s good value but am sure it was. Thank you summer house you are an all season star! Lunch at The Summerhouse really brightened up a rainy January week day. It was warm, cosy and light inside and we received a friendly welcome upon arrival. We had a lovely table overlooking the canal and were very impressed by the food on the reasonably priced fixed price menu. I had the fish cake starter which was light and full of flavour, followed by the Pollock served with parsnip purée. The fish was deliciously moist with a lovely crispy skin and the parsnip purée was a delight. I wouldn't hesitate to order both again with eager anticipation. I wasn't so keen on my dessert as the icecream flavour didn't seem to compliment the poached pear that it accompanied but individually each were good.